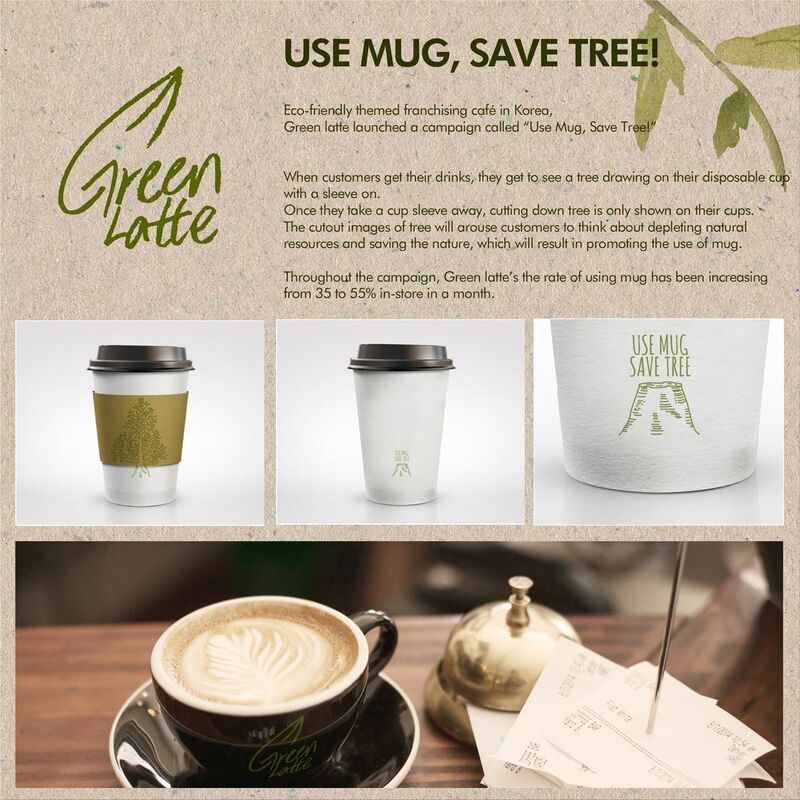 Green Latte: Use Mug, Save Tree! When customers get their drinks, they get to see a tree drawing on their disposable with a sleeve on. Once they take a cup sleeve away, cutting down tree is only shown on their cups. The cutout images of tree will arouse customers to think about depleting natural resources and saving the nature, which will result in promoting the use at mug. from 35 to 55% in-store in a month. Samsung: Think you can only get sparkling water at the store?